Cut chicken fillet into pieces (less than a meat-ball) and chop fillet slightly. Add pepper and salt. Break an egg into a plate, add salt and mix well with a fork to get homogeneous batter. Add a glass of breadcrumbs into another plate. 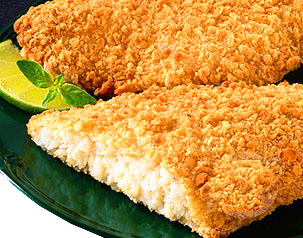 Dip every piece of chicken fillet into a plate with a whipped egg and then crumb. 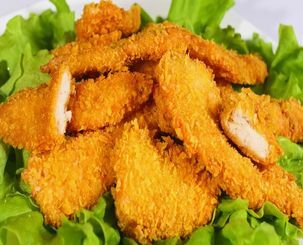 Add sunflower oil into a frying pan, heat, put crumbed pieces of chicken fillet and roast on a moderate heat for seven to ten minutes on each side. Serve breadcrumb roasted chicken fillet on a dish decorated with fresh herbs and enjoy with your favourite sauce. Scale and wash fish in a cold water, cut and rub fish with pepper and salt. Roll fish in flour. Add an egg and salt into a bowl. 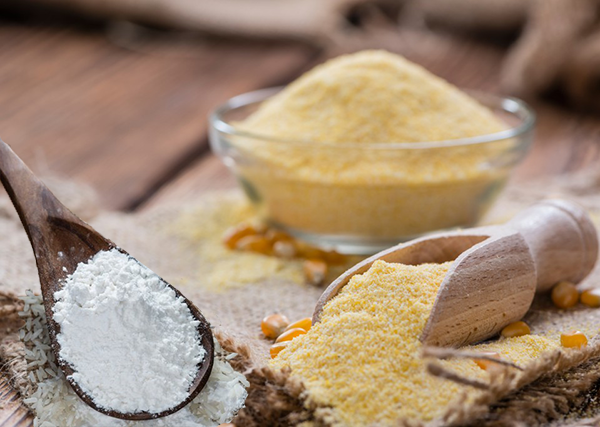 Mix with a bar to make a batter. Dip fish into the batter. Roll fish in flour once again, and crumb. Roast fish on a frying pan for 5 to 7 minutes on each side. Your breadcrumb roasted fish is ready. Bon appetite! 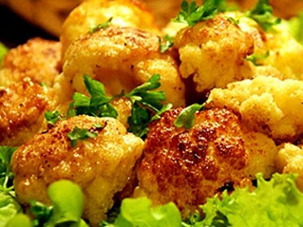 Breadcrumb roasted cauliflower resembles tender pastry and would be an ideal cold dish with various sauces. This dish may be a wonderful appetiser at a festive table, and it is quick to cook. Break cauliflower into flowerets. Wash and remove any dark spots. Add cold water to a saucepan, salt water and add the juice of half lemon. Bring water to a boil. Add cauliflower flowerets into boiling water and boil for 10 min with an open lid. Make sure cauliflower is not overcooked. Put boiled cauliflower on a paper towel to absorb extra moisture. Whip eggs, salt and black pepper in a bowl. Put a flat plate with breadcrumbs next to this bowl. Heat vegetable oil in a saucepan or a frying pan. Dip cauliflower flowerets in eggs, than crumb and roast on all sides to get a crispy crust. Take roasted cauliflower on a paper towel to absorb extra vegetable oil. Serve with your favourite mayonnaise sauce or garlic tomato sauce. Slice cheese into 1 cm slices. Whip eggs in a bowl with a fork. Take flour one on plate and breadcrumbs on another one. Flour pieces of cheese, dip into eggs and crumb. Put crumbed pieces of cheese onto a frying pan with burning-hot sunflower oil and roast for 1 min. Then turn cheese carefully and turn off your cooking top. Let your roasted cheese to continue melting. You may add spices such as dried garlic or grounded sweet pepper to give your appetizer a special flavour. 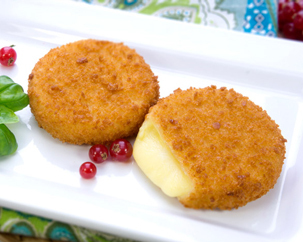 Serve your breadcrumb roasted cheese immediately after cooking on a dish decorated with lettuce. A spicy garlic sauce or sweet-and-sour cranberry jam would be an excellent supplement for your cheese. 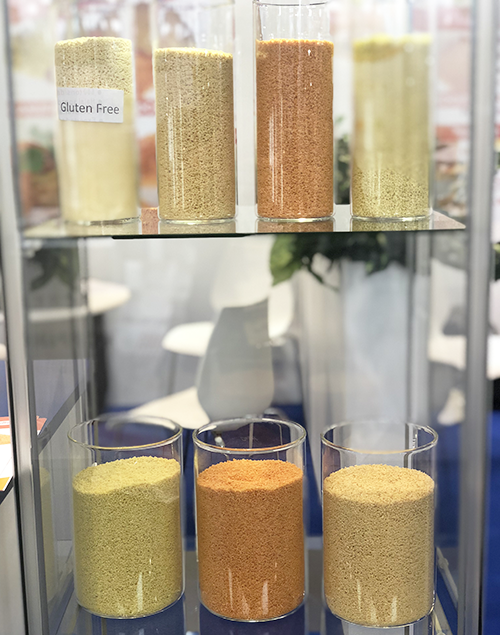 gluten -free diet is not only helping people with celiac disease, but also solving problems with allergies, headaches, chronic fatigue syndrome and other health problems. are used for all types of products: fish, meat and vegetables.